If your cheeks turn red when you receive a compliment or during an embarrassing mument, you are not alone. 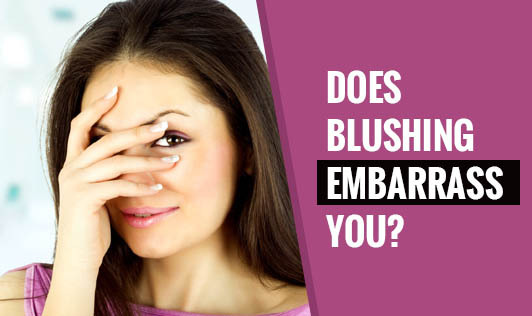 Blushing is a natural response to a self-conscious mument. It is involuntary and can go unnoticed in many people. Those who get uncomfortable with blushing are the people whose face changes colour. Some people blush in their ears, neck or upper chest. The psychological process behind blushing is not yet known. But physiologically, it is said that blushing is a result of an active sympathetic nervous system. When you are embarrassed, the body releases adrenaline which causes the blood vessels to dilate, including the blood vessels in the face. When this happens, extra blood rushes into them, turning the face pink or red. Why only the face blushes is still not known. There are many theories surrounding it. Whatever the process of blushing may be, remember it's only a transient situation and it passes quickly. So, next time you blush, don't feel awkward!